Anyone have experience with either one, or know of anything that might be even better? The other, perhaps better, way to do it would be to use tabbed batteries, though I'm not sure whether or not they are entirely immune to corrosion. Anyone know? A spray to an open frame battery holder with the battery/ies in place will give a thin coat protection, but ensure that the wire joints (crimp/solder) are also treated. So long as it does not insulate the battery's physical contact it will extend life against corrosion very effectively..
What about just putting a small bead of caulk over it. That should keep out moisture and corrosion. And caulk is fairly cheap too. On my battery powered bicycle light I use petroleum jelly on the battery terminals. It makes changing batteries a little bit more messy than usual, but it seems to do the trick for over two years now. 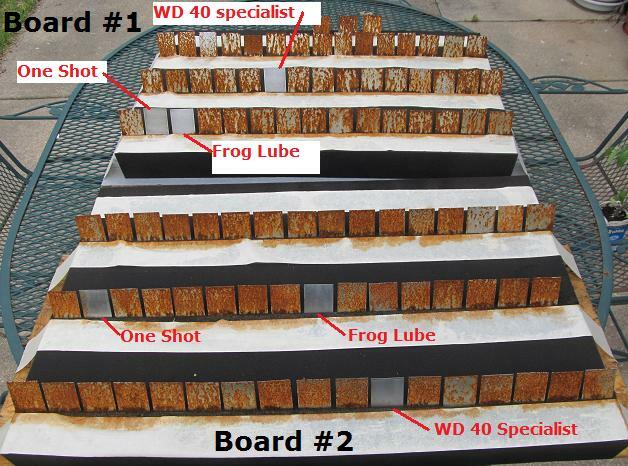 Seems like Frog Lube and/or WD 40 Specialist Long Term Corrosion Inhibitor might be worth considering. @gohan Right. He did 3 shootouts, and one was an indoor shootout. I supplied the link above. Same winners, pretty much. That may be the perfect example for a definition of "easier said than done." @alexsh1 I hope it lasts long term. I tried the same sort of thing using hot glue on a chinese led garden light (which almost seem designed to quickly rust), but it failed in less than 3 months anyway. On the plus side, hot glue is much easier to apply than epoxy, and it's very inexpensive too. For contacts like batteries I use a silicone lubricant I found at the local pool store. 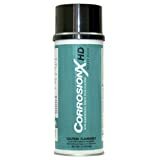 It is used for lubricating O-rings and fittings on pool filters and plumbing. Does not harden so the contacts can "move" and still retain contact.